TrafficMaster Ceramica tiles are resilient vinyl floor tiles designed to closely resemble natural stone or ceramic. As well as a textured surface, the tiles also have rounded edges, which makes them suitable for use with a grout finish. The grout finish adds to the authentic and natural look of the tiles but without the disadvantages, as the vinyl tiles are both warm and quiet underfoot. Grouting between floor tiles produces a natural, country appeal. Make sure the sub-floor is clean and dry. Sweep up dust or other debris, and leave the floor open to the air to allow it to dry completely if there were any spills or if you wet-mopped the floor to clean it. The TrafficMaster Ceramica tiles have a self-adhesive back and will not stick effectively to a floor that is either dusty or damp. Mark a straight line across the middle of the floor, with the pencil, to indicate where the first line of tiles should go. Whether you lay tiles at right angles to the walls or sideways to give a diamond pattern depends on your preference, but by marking out a line for the first row of tiles you ensure the tiles run in neat rows from one side of the room to the other. Lay the first tile in the middle of the room. Peel off the backing paper, and press the tile into position on the floor. Put a 1/8-inch spacer at each corner of the tile, then lay the next tile butted up to the spacers. Continue to lay tiles across the floor, separating them evenly with the spacers. Remove all the spacers, and then spread ready-mixed grout into the spaces using a grout float or a putty knife. Press the grout into the seams, holding the float or putty knife at a 45-degree angle and working evenly along the grout lines. Scrape excess grout back over the seam to ensure the grout line is packed tightly and to remove large clumps of grout. Work over an area of several tiles, then use a damp sponge to clean off the surface of the tiles. Wipe the damp sponge gently over the surface of the tile and the grout line. 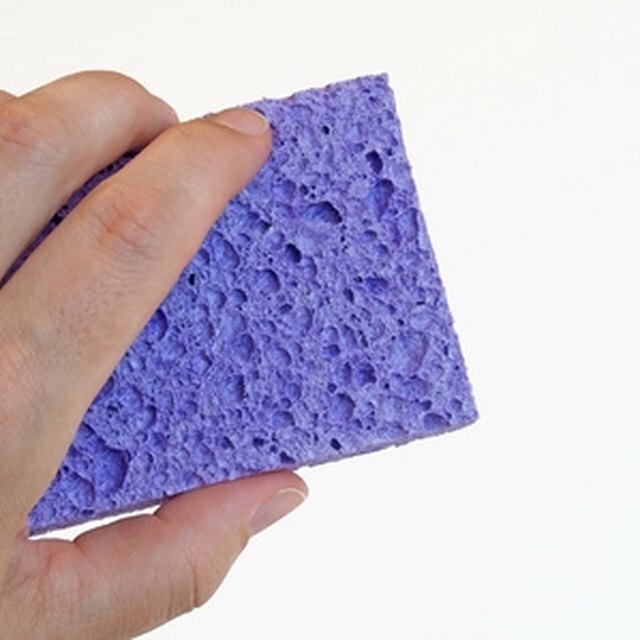 Take care not to press the sponge into the damp grout in the seam, and rinse then wring the sponge often to clean off the excess grout. Wait for 24 hours for the grout to dry, then give the floor a final buff with a soft cloth or dry mop to remove any remaining grout. Spread the grout just along the seams between the tiles, not over the whole tiled surface.